Questions regarding environmental forensics will come up at some level in almost every environmental project. This can range from drawing conclusions about a release from a UST system to sophisticated analysis of large environmental datasets collected specifically to identify contributions from multiple sources. The purpose of forensic interpretation is to tell a story. The story becomes most interesting when some or all responsibility shifts from one party to another. 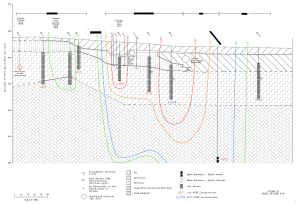 In many ways, this is a natural extension of developing a site conceptual model (SCM), and much of the data required for telling the story is collected as part of most primary environmental investigations. Do you need forensic data interpretation or interpretation of forensic data? To get the most value for your dollars spent, it might be helpful to think of forensic techniques as a specialized way in which environmental data is evaluated rather than as a series of analytical techniques. 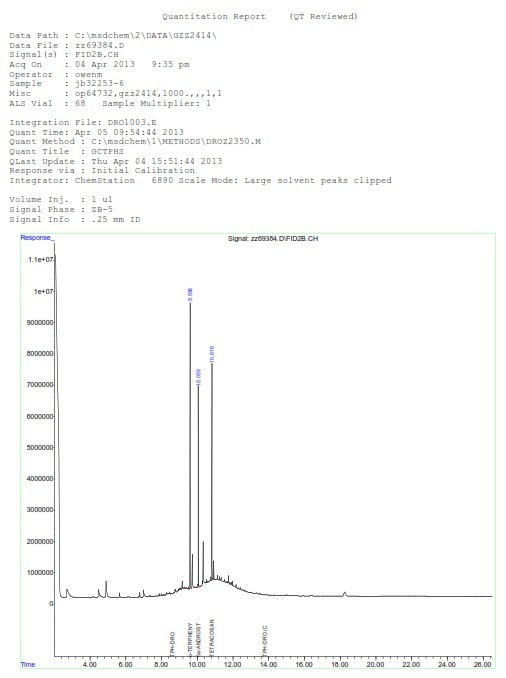 Commonly collected data can have significant forensic implications, boring logs, slug tests, GC chromatograms and tentatively identified compounds (TICs) all have a story to tell. Prior to investing in the collection of dedicated forensic data, a good consultant will fully understand what answers you need and evaluate how close you are to those answers using data you already have. 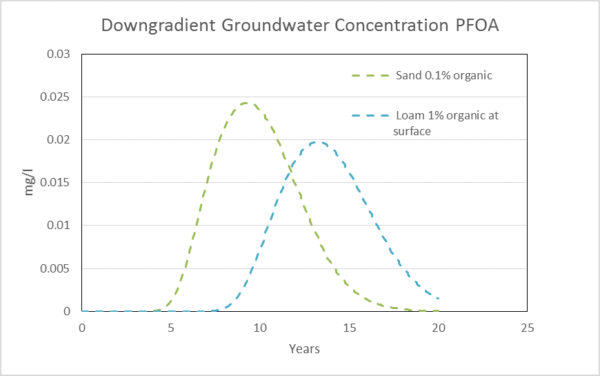 It may be, for example, that the data required to delineate and characterize the basic fate and transport of a chlorinated compound in groundwater, for regulatory purposes, is also sufficient to constrain the potential release date with the required precision. Or, the presence or absence of various gasoline oxygenates in a BTEX plume may be enough to identify the decade in which the release occurred. A number of specialized analytical techniques can provide specific data useful for environmental forensics. Only after reviewing existing data in light of the SCM can you start looking at the analytical techniques people usually associate with environmental forensics. The most basic may be petroleum fingerprinting, looking at the composition of LNAPL or petroleum in soil or water to identify the type of product present and degree of weathering. Like everything else in life, this can be done quick and inexpensive with moderate precision or slower and at greater cost for greater precision and defensibility. There are no foolproof analytical methods to date petroleum releases. However, the Christensen and Larsen (1993) method is often used to estimate the date of diesel/#2 fuel oil releases. This method is based on observed changes in the ratio of compounds over time due to biodegradation. While used with success in many cases, the further your site conditions are from those on which the method is based, the greater the caution should be exercised in interpreting results. Moving beyond petroleum, a wide range of forensic techniques are available for different circumstances with an equally wider range in cost. 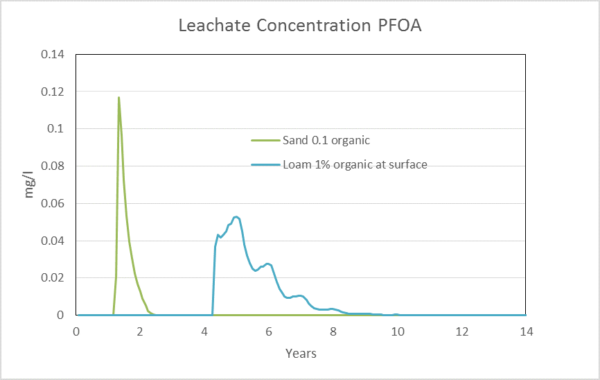 With the right circumstances, specific tools like PCB congener analysis, stable isotope measurements, extended PAH analysis or sediment and groundwater age dating can provide key information to distinguish multiple sources or refine the understanding of contaminant fate and transport. As always, there is a tradeoff between the cost of sample collection and analysis and the need to document results with sufficient certainty to stand up to hostile scrutiny. Leveraging existing data can ensure your environmental forensic efforts get you the answers you need. You hope that you know (and like) what results you get from a forensic investigation. But even starting with a well-developed SCM, expect some surprises when the analysis and data evaluation are performed. The real life messiness of even the best environmental data is, on its own, a good reason to develop specific and realistic goals for a forensic evaluation before data collection. Developing those goals is easier when you are making the best use of the data you already have. Recently, I read about the christening of the R/V (Research Vessel) Neil Armstrong at the famous Woods Hole Oceanographic Institute (WHOI). In 2010, the U.S. Navy announced the construction of two new research vessels. After working with the scientific community to design the ship, the competition to operate the new vessel began. Later that year, the Navy awarded the job to WHOI. Outfitted with a modern array of oceanographic instruments, the ship is dedicated to studying climate change and the chemistry, physics and biology of our oceans. This news made me reminisce of my own experiences in academia. Before working at BSTI, I attended graduate school at Rutgers University – New Brunswick, an R1 school where the oceanography and geology departments were closely knit. 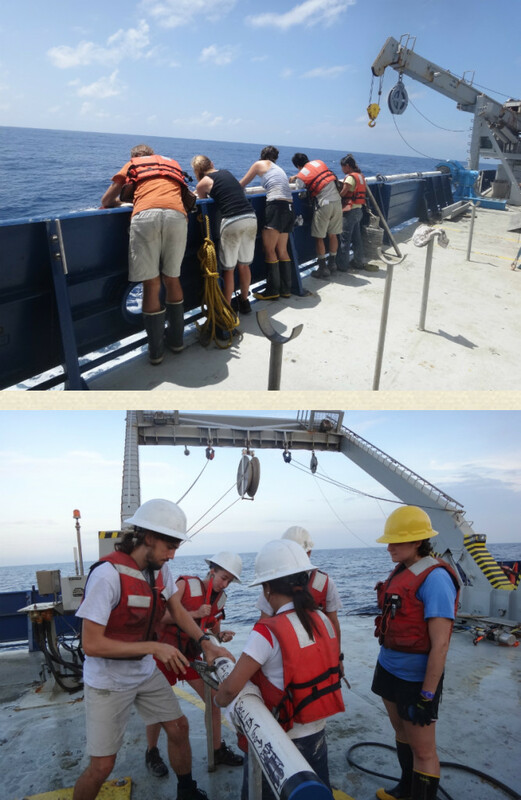 After establishing myself at Rutgers, I was fortunate to be in the right place at the right time when an opportunity to sail and sample ocean sediment arose. 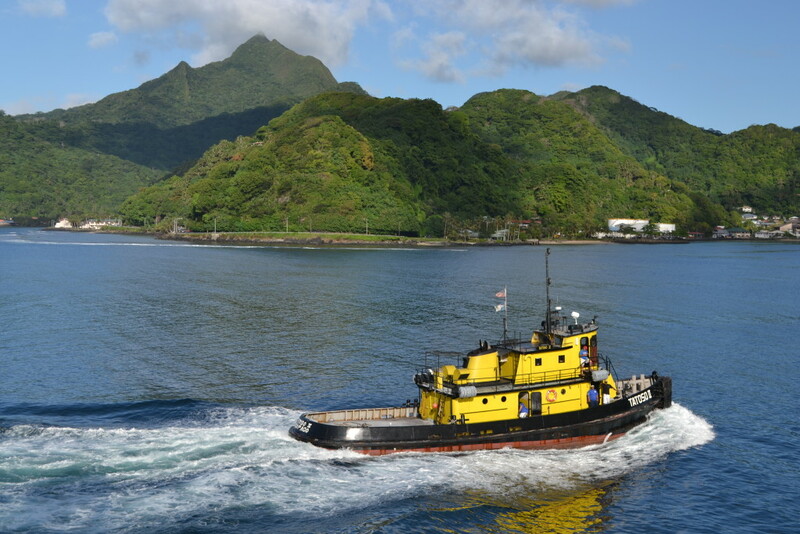 The R/V Roger Revelle planned to sail from Alotau, Papua New Guinea, to Manila, Philippines, making stops to collect ocean sediment cores and geophysical data. 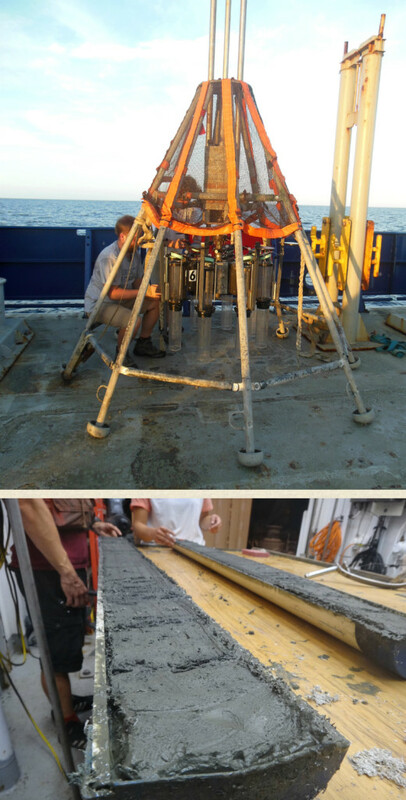 The cores and data collected from this expedition would later go on to be used to study climate change and ocean dynamics in a region known as the Western Pacific Warm Pool. Not only would I be able to take part in gathering the climate data that many take for granted in textbooks, I would get to go to an exotic location to do so! With the encouragement of my advisor (even though I would miss a month of classes), I applied to take part in a month-long oceanographic cruise in the western Pacific Ocean. I was elated when I found out that I was selected. I packed my bags, and before my first semester of graduate school I boarded my flight from New York’s John F. Kennedy Airport to begin my journey half way around the world. I finally arrived in Alotau after what felt like three days. We had two days in Alotau, so I met up with the primary investigators and other graduate students, explored the town, took in the sights, swam at the local beaches and sampled the local suds. I took a liking to South Pacific Lager (aka SP to the locals), a crisp, refreshing lager that will quench your thirst and make you forget about even the muggiest Alotau nights; it had an iconic logo as well. 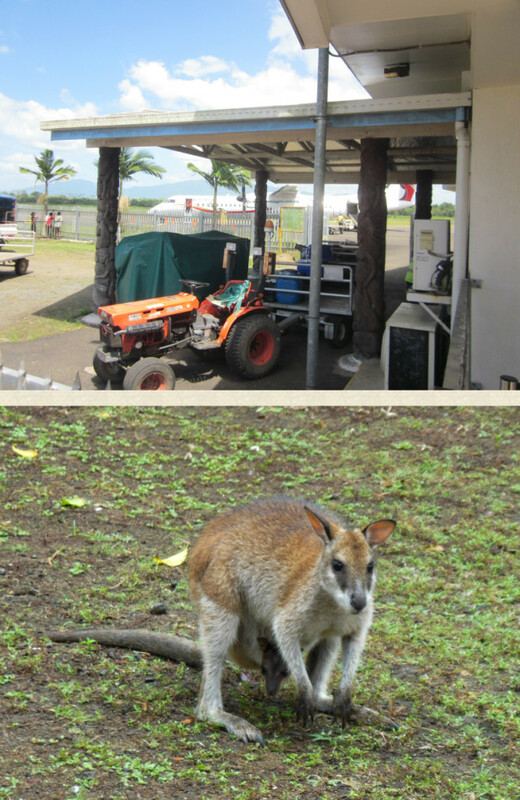 I kept my eyes peeled for wallabies and birds of paradise, but unfortunately I only saw the former. Before I knew it, we boarded the ship and were on our way to Manila. 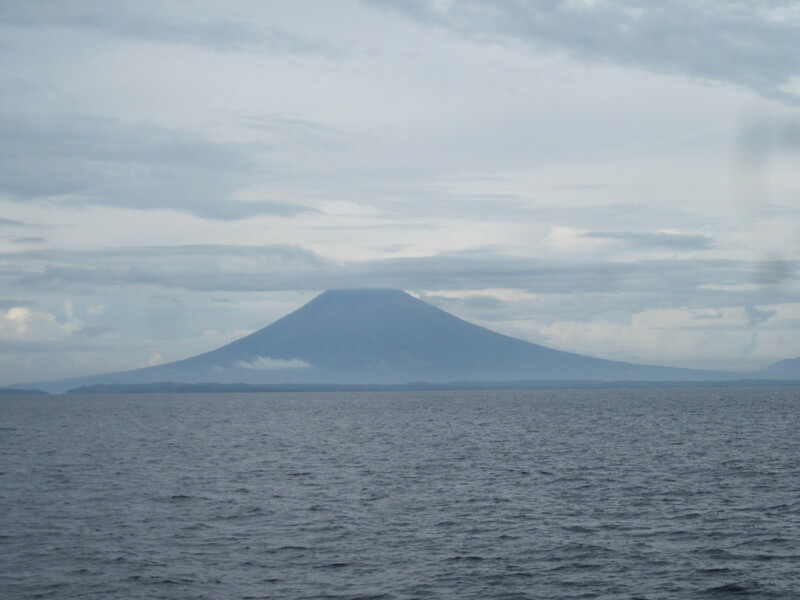 Once we became acquainted with the ship and I got over my initial seasickness, the science began. I was assigned to the night crew, working midnight to noon. This seems like a nightmare when you first think about it, but in hindsight I preferred it to working during the day. With temperatures in the mid 80’s and the humidity being high as can be, sweating through your clothes was common; within an hour it would appear as if you had fallen overboard. It was much better to be in the cooler temperatures of the night. Adjusting to working at night was easy since the local time was 12 to 13 hours ahead of the U.S. East Coast. This made 1 AM out there the same as 1 PM back home. It also felt pretty cool to say “I’m on the night crew;” but I digress. Over the next four weeks, I helped collect ocean sediment cores, seismic data and surface water samples along with the three other grad students and the post-doctoral researcher on my shift. Obtaining the sediment cores took up most of our time, the process taking all five of us to hoist the sections of the core overboard as they came up from the abyss. Imagine lifting an eight-foot section of PVC pipe filled with wet sand and mud; it was hard and at most times dirty work. Needless to say, my arms were toned by the end of the trip. 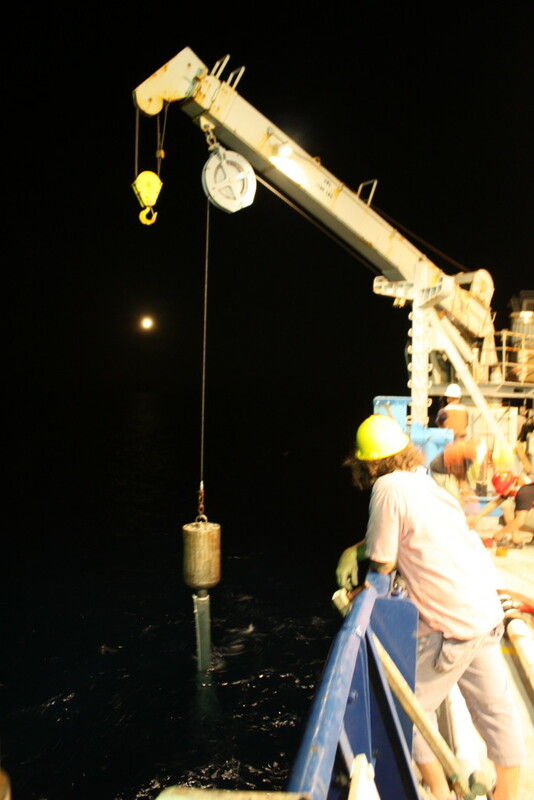 A second method of collecting ocean sediment cores involved loading and unloading a machine called a multi-core. This arachnid-esque device could collect eight 3-foot cores at once. The device was lowered then pulled up with the cores rigged to snap shut and collect a sample at the sediment-water interface. While these were much lighter than the long cores from the ocean floor, they were often half filled with water and therefore much more cumbersome when it came to packing them. Once we had a substantial backlog of cores and started travelling, our focus switched. With the cores aboard, we analyzed the sediment with a gamma logger to quantitatively differentiate clay from sand and silt. We continued collecting seismic data (which only took one person) and spent time splitting the cores in half, describing the contents and photographing them. After the qualitative descriptions, we packaged the cores so they could be shipped back to the U.S. where they would eventually be sampled and analyzed. 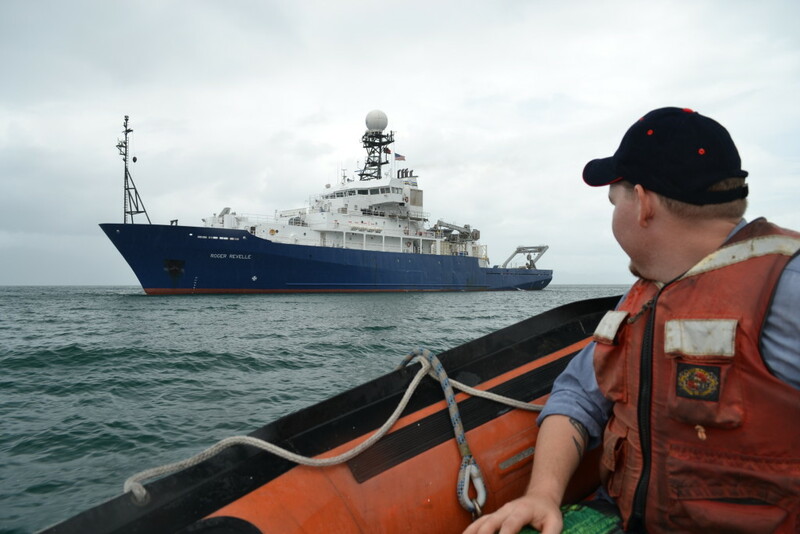 After about a month, the science team departed the R/V Revelle in Manila, Philippines. While Manila was much more urban and developed than Papua New Guinea, it was still an interesting experience. Despite sleeping only a handful of hours, I wandered the streets around the hotel in which I was staying. I ate Filipino food from a roadside shack, which seemed intimidating at first but ended up being delicious. I ordered a chili oil noodle stir fry, which had a good kick to it, and sautéed kangkong (known as water spinach in English) with tofu, which satisfied my umami taste buds and my desire for fresh greens after being restricted to long-lasting boat food for the past month. I also drank coconut water straight from a coconut which was husked right before my eyes, and developed a love for rambutan and lychee while feeling the stares of many Manilans. I stuck out like a sore thumb; I towered over almost all passersby, and my long hair and beard gave me a unique look. Despite the staring, the trip ended with a great dinner for all of the scientists that was hosted by a researcher at the local university. After a few hours of sleep, I woke, gathered my things and made my way to Ninoy Aquino International Airport for the long trip home. Going on an oceanographic cruise was a great experience. Not only did I get to visit exotic places, I gained some great skills and learned some great lessons that I still use at BSTI today. Logging so many cores on the ship made me confident in my abilities and helped me realize what is useful to describe in a log. Like scientific investigations, soil boring investigations (which are similar to sediment core investigations except smaller) almost always involve something to be done, whether it be screening the boring with a PID, describing the core, collecting a sample or just taking legible notes and keeping them in order. I realized I must make good use of the time I have in between borings to get everything done, even when the time in between is minutes rather than hours or days. The work on the cruise may have been different from what I do now, but I will always cherish the skills and good habits I developed on that great adventure.